I would vote against the creation of an entirely new and mediocre university in Virginia Beach in favor of pooling existing resources to making the existing 4-year public institutions in the area - ODU and NSU - rise to the next level of prestige in academics and reputation. There's so much talk about why the Hampton Roads region doesn't get its fair share of metropolitan respect and I would venture to say that it is because the area lacks (above and beyond a major league sports franchise) a truly residential, research university with the intellectual caliber of a UNC-Chapel Hill/UCLA/Georgia Tech/Penn/NYU etc. ODU produces some good things, but in my opinion, it hasn't stepped up to the level of the truly prestigious research university which cultivates intellectual thinking and spurs on the economy. Take a look even at ODU's sister George Mason and how it has been able to transform itself from a purely commuter based institution to a residential 4-year college with graduate research programs and an increasingly dynamic intellectual population. The commonwealth is not going to create an entirely new college in VB. They're too busy stifling improvements at existing public institutions. What will happen is that they will allow ODU to open a satellite campus. 25-50 years from the date of its creation, this satellite campus will become an independent 4-year college. But in the meantime, it will be part of ODU not a rival to it. This study has 3 drivers: 1) VB wants a 4-year public school within its borders, 2) ODU wants to open a satellite campus in VB, and 3) the commonwealth predicts a dramatic rise in college enrollment over the next decade. As for ODU and NSU needing to improve, I agree and they do too. NSU's enrollment is dropping and they're trying to figure out how to make that school competitive to attract students. ODU is embarking on a capital improvements program that will transform it into a residential campus. The university is slowly improving academic standing and is making inroads into burgeoning research sectors such as M&S. ODU will also benefit from the resistance to enrollment increases at W&M and UVa. Like W&M and UVa, Tech has autonomous status, and will also likely limit growth to improve its academic standing. This means ODU will have access to high school students of higher academic standing, as they get shut-out of ever-more selective top tier schools as well as access to some highly regarded professors. This will open the door to more research dollars. This means ODU will have access to high school students of higher academic standing, as they get shut-out of ever-more selective top tier schools as well as access to some highly regarded professors. This will open the door to more research dollars. ODU already has a sattelite school in Virginia Beach at the Amphitheatre. 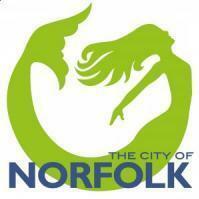 It is shared by norfolk state and Tidewater Community College. ODU can not compare to NCSU or Chapel Hill, just as you say NSU can not compete with ODU. You are right that Virginia needs to do more to support the insitutions that it now has without creating another University in Va. Beach. I feel that the State should merge NSU and ODU but many people feel that NSU is not a very good school. Although it was created out of the segregationist policies of the American South in 1935 and has survived despite, as the Civil Rights Commision stated in the lawsuit it won against the State of Virginia, a historical pattern of underfunding, NSU is working to improve. A larger more diverse institution, although at 22% African-American ODU is growing very diverse now, will better serve the State of Virginia. Instead of sending money to two schools five miles apart the duplicate programs (i.e. English, History, Business and the like) Virginia can create a very large school that will be able to reach those goals in research. But at this time ODU and UNC- Chapel Hill ( or any of these schools; Va. Tech, UVA, Ga. Tech, Maryland, NCSU) are by no means comparable. Ummm...I think it's a completely valid idea that's just been put forth. I've always thought that pooling resources (and clout) is the best possible way for this region to have a truly major 4 year institution on par with UNC, etc. The University of Norfolk, Leading Virginia into the future. Hampton Roads State University, Leading the Commonwealth. Tidewater State University, where research meets practice. University of Tidewater, developing excellence. Southeastern Virginia University, SVU Pelicans. We need a directional school in Virginia. Add EVMS and have a medical school with the University. Or, Southeastern University of Virginia, SUV Hummers. University of Ghent. That's the elitist name needed to vault ODU into U.S. News' Top 10 Universities. Thanks to Hummers and jet fighters, this new school had better have one hell of an oceanography and hydro-engineering department. We'll put the Dam in Dam Neck Road. Oh well, the rowing and sailing teams will be good. Thats a thought uvA is in Charlottesville, and uvB is in VB!! !